Allyson comes to Pilates through her background in dance. After dancing for almost 19 years, she was plagued by chronic back pain, and ankle injuries, caused by spending many hours perfecting her art as well as a few car accidents. Now she has found a method to maintain her body in a balanced, nurturing, and pain free way. Originally Allyson found the Pilates Method as a form of rehabilitation from her first car accident. After a long hiatus she returned to Pilates for a second time in 2007 and fell in love with the method all over again. She has since worked hard to complete the Teacher Training Program here at the The Pilates from the Center, North Vancouver, a licensed studio of The Pilates Center, Boulder Colorado teaching program. This school is known for being one of the most rigorous Pilates teacher training programs in the world. It is her endeavor to use her passion for teaching Pilates to instill a sense of confidence and wellness in her clients as well as teaching them how to live a balanced, pain free life. Allyson is also known for her enthusiasm and attention to detail and she encourages all her clients to find the depth and truth of their movement potential. Anne Jones is one of the most experienced Zumba instructors in B.C. She brought Zumba to the northern half of the province in 2009. Anne is a certified Fitness Instructor Specialist, Personal Training Specialist, is certified in CPR and First Aid, and is currently studying Registered Massage Therapy. Anne appeared on the ZIN 32 DVD, a choreography DVD for other Zumba instructors, was a co-presenter at the 2012 Zumba Fitness Conference in Orlando, Florida, and has previously been nominated for Chamber of Commerce Athlete of the Year. With more than 15 years of dance and dance-teaching experience, participants appreciate Anne’s enthusiasm, passion and professionalism in her fun, sweaty Zumba Fitness classes. Brenna, born in New York where she gained an extensive dance background from some of the best fine arts establishments in the country including The Ailey School, Broadway Dance Center, New York Institute of Dance and Education, Lou Conte Dance Center, and Giordano Dance Center in Chicago, IL where she trained on scholarship as the youngest recipient in history of the company. She began her professional career with a two-year tour with RCL Productions, where she performed and toured Broadway shows such as Tommy, Hair, Bob Fosse’s Sweet Charity and world-renowned, award-winning Grease. Brenna went on to receive a Bachelor of Fine Arts (BFA) degree in Dance from The School for Contemporary Arts at Simon Fraser University in Vancouver, British Columbia. Here she was chosen to perform works by great Canadian choreographers such as Serge Bennenthan, Paul Andre-Fortier, and the newly appointed Artistic Director of Ballet BC, Emily Molnar. She has worked with Wen Wei Dance, Move:the company, dancersdancing, and Full Performing Bodies. She has also had the privilege of being featured in recent works created by Chenguin Wei for the EDAM dance series and Henry Daniel for Dancing on the Edge 2009. 2011, in New York working along side Anna-Marie Forsyth, co-founder of the Ailey Fordam BFA Program and head of the Horton department at The Ailey School, Brenna McLaud, completed the Horton Pedagogy Program for teachers. Her profound love of the Horton technique has grown over the years and her ability to share this wonderful technique has been a true gift for the dancers at The Landing. Ellie King is an award winning theatre professional who was born and raised in England where she studied dance and drama, gaining qualifications from RAD, ISTD, BBO, LAMDA and the Poetry Society. She is a writer, actor, director, choreographer, set-designer, graphic artist and teacher. Immigrating to Canada in 1982 she has built an extensive Canadian resume of acting, directing, writing and producing while at the same time sharing her extensive knowledge and experience through both teaching and mentorship. On stage she is perhaps best known for her signature role ‘Shirley’ in ‘Shirley Valentine’; she also works in TV & film, both live action and voicing animation – most notably in the ‘Barbie’ movies. Her directing credits are many and varied and she is known for her wide range of expertise, from her fine touch with comedy to her ability to scare an audience witless with a heart-pounding thriller, and is recognised for her ability to bring great performances out of even inexperienced actors. Also known as the ‘Queen of Panto’ she works to preserve this most entertaining of theatrical genres. Ellie was the Founding Artistic Director of the Raymond Burr Performing Arts Centre and is now Managing Artistic Director of the Royal Canadian Theatre Company. Recent awards include Business Woman of the Year – Leadership in 2012 and the prestigious lifetime Civic Treasures Award in 2013. Emma began dancing at a very young age starting out with ballet and highland dancing. She is a recent graduate from Affinity Dance Inc. and Langley Fine Arts High School specializing in jazz, tap, and contemporary styles. She has trained and performed in Miami, Los Angeles and Las Vegas. Emma has won many outstanding awards and attended the last two years of the BC Provincials for dance. Most recently, Emma won the Triple Threat Achievement Award, which means she will be travelling with Triple Threat Dance Convention to assist in various cities across Canada. This December, Emma will be dancing in the “Yellowpoint Christmas Spectacular,” a celebration of Christmas on Vancouver Island. Eva Tavares is a graduate from the UBC Opera program having completed her BMus. Tavares has been offered various performance opportunities, most notably Harry in Albert Herring with Vancouver Opera, Naomi understudy for Vancouver Opera’s production of Naomi’s Road and Mi in the VSO’s concert of Land of Smiles. She has been awarded the Toni Cavelti Trust Fund from Vancouver Opera, the Maureen Patricia Russell Marchak Scholarship in Music and the Kiwassa Club of Vancouver Scholarship, among other notable awards. Tavares trained with Spiral Dance Co. for fifteen years. She is active in the Vancouver dance community by teaching and choreographing. Upcoming choreography engagements include Die Fledermaus with Vancouver Opera in their 2014/15 season. Tavares’ involvement in the performing world is also quite extensive in Musical Theatre, most recently appearing as Linda in Applause! Musicals’ Gay’s the Word. For her next Musical Theatre engagement, she will be appearing as the Soprano soloist for The Yellowpoint Christmas Spectacular. Tavares is currently a member of Health Arts as an ArtsWay Ambassador, 1940’s revival group The Lady Larks, and the Juno nominated ensemble, musica intima. Born and raised in Vancouver, BC, Kathryn has been dancing almost all of her life. Kathryn trained at the Anna Wyman School of Dance Arts under John Ottmann, while attending various summer programs on scholarship, including the Goh Ballet Academy, Banff Centre of Fine Arts, and Ballet British Columbia Summer Intensive. 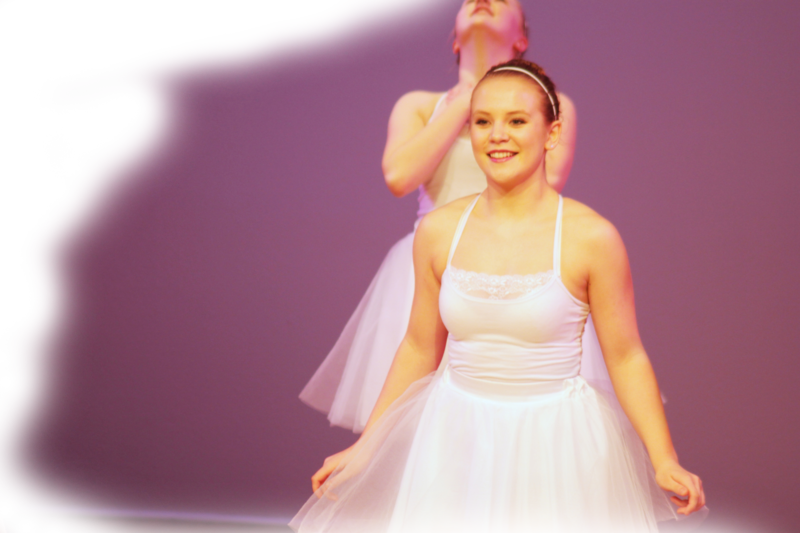 Upon graduating, Kathryn was a part of the Ballet B.C. Mentor Program for 2 years, where she had the opportunity to perform featured roles in works by Emily Molnar, John Alleyne, Simone Orlando, and James Gnam among others. As a dancer, Kathryn has worked with Ballet B.C., the plastic orchid factory, Judith Marcuse Projects and had the opportunity to work with Melanie Demers, Louise Bedard and Austin McCormick while participating in the Springboard Professional Project in Montreal. Her career has taken her across North America and to Asia, where she performed in the Bangkok International Festival with Move: the Company. Kathryn also had a principal role in the short dance film, ‘Time Before the Light’, directed by Ryan Copple. Kathryn’s choreography has been featured locally in Dances for a Small Stage. Kathryn is currently expanding her knowledge and interest in anatomy and movement by pursuing a degree in Kinesiology, while continuing to dance and share her love of the art form with students across the lower mainland. Lina Fitzner has established her multifaceted career in the international dance community as an inventive and idiosyncratic choreographer, a stylish dancer influenced by street classicism and a rehearsal direct that has the understanding to work with many choreographers. Lina is currently a facilitator of the Move It! Program. Lina taught Ballet, Modern, Jazz and Repertoire at Arts Umbrella for nine years, education dancers through the ages of 6 and 21. Sharing her time between Germany and Vancouver, most recently Lina has had the great fortune to work with choreographers Jennifer Mascall, Tara Cheyenne Friedenberg, Amber Barton, James Gnam and the Contingency Plan Collective. Dancer/Pianist, Linda Hayes has been teaching and performing for 25 years. Born in Winnipeg, Manitoba, she studied with the Royal Winnipeg Ballet in the professional program where she trained in all genres of dance with Flamenco as her forte. Linda visits Spain yearly to study and perform. Her teachers included Rocio Molina, Belen Maya, “La Farruca,”, Joaquin Grilo, Manolo Marin, La Lupi, Carmen de Torres and Oscar Nieto. As a pianist, Linda is a graduate from the University of Toronto with a Bachelor’s degree in Piano and Music Theory. She operates a music studio in Surrey, teaching Classical, Jazz and Latin to Students from beginner to advanced. She is also a Flamenco teacher at Harbour Dance and gives workshops, and private lessons. Hola Chicas y Chicos!!!!!! Vamos a Bailar!!!!!! Come and learn this beautiful art form. This is an open class focusing on style, rhythm, technique, arms, footwork, and choreography. The class will give you a taste of Flamenco. Hasta Pronto!!!!! Natasha Gorrie has grown up in the hip hop dance scene since a young age. Her first brush of hip hop dance was when her mother taught her how to do the running man in the living room of their home. Natasha’s mother was a freestyle dancer self taught , with a huge passion for new jack swing dancing. Ever since then Natasha has had a love for the fundamentals of hip hop and funk styles. Some of her film and television credits include She’s the man, Another Cinderella Story, Hellcats, DJ Tiesto , Son Real, Campbell’s Soup and Nestle Water commercial. Natasha has toured throughout Asia, taught dance in India, trained and lived in LA. She has choreographed for Monsters of Hip Hop, and also loves to join a freestyle circle. Natasha loves training in many forms of dance, she will never stop seeking for new information on dance. Currently she is focused on training for battles in town and internationally. Natasha is co-founder of a power house all female crew based out of Vancouver called Diamonds In The Rough. As a group they have traveled throughout the USA performing and training. Diamonds In The Rough have big dreams and goals. They enjoy working together on ways to make those dreams reality. One of the most sought after educators and presenters of Ma’ohi ( Polynesian) Culture, studies and entertainment, Paul Tavai-Latta is the only certified, na Kumu Palapala (Masters degree ) teacher of Hawaiian, Tahitian, Cook Island and South Pacific dance, culture, language, costumes, music, history, geography of Polynesia in Canada. Paul is also a worldwide Producer / Director of the finest in live Polynesian entertainment for Stage, Festivals, TV, Film, Commercials, local Events, & worldwide performances. Peggy started taking Ballet, Tap and Acrobatics at the age of three from Mr. Vincent’s dancing school in Vancouver; Josephine Slater and Grace Goddard in New Westminster. As an adult she went on to take ballroom dancing from the Dance City in New Westminster, and even playing the oboe with the New Westminster & District Concert Band. Peggy has studied them all. Peggy presently teaches four days a week Line Dancing from Beginners to Advance students in Langley. She not only teaches her regular classes and choreography but she also has taken her students on occasional cruises and attending special events. Which of course keeps the ever effervescent Peggy very busy! In her spare time Peggy enjoys being an amateur photographer. Sheana Lehigh graduated from the University of British Columbia in 2003 with her Bachelor of Science in Physiotherapy. Sheana has also studied physiotherapy in New Zealand, and has worked as a physiotherapist in the United Kingdom. As she has a clinical interest in chronic pain, Orthopaedic, manual and sports physiotherapy, and has obtained her CGIMS certification and her Diploma of Advanced Manual and Manipulative Physiotherapy. As a clinical placement instructor for the physiotherapy students of UBC, she is a mentor in the Internationally Educated Physiotherapist (IEP) program. She teaches at the UBC School of Physiotherapy as a CSA in Musculoskeletal courses, and now works as an associate at Tsawwassen Sports & Orthopaedic Physiotherapist Corporation and has her own business, Sheana Physiotherapy. Sheana has been a competitive ballet and modern dancer since she was five years old, and now she also enjoys yoga, hiking, skiing, biking, and swimming. Sheldon Baxter, baritone, is a current graduate student in the MMUS Opera Program at the University of British Columbia and studying in the vocal studio of Peter Barcza. Recent operatic performances include Forrester (The Cunning Little Vixen), Emilio (The Florentine Straw Hat), Dapertutto (L’contes des Hoffmann), Escamillo (Carmen), Guglielmo (Cosi fan tutte) and Masetto (Don Giovanni). Musical Theatre performances include Sargent of Police (The Pirates of Penzance), Wolf (Into the Woods), Young Scrooge (A Christmas Carol), Nephi (The Promised Land), and Patrick Henry (First Freedom). Sheldon made his New York City debut double cast as the Ragman and the Pizzaman in the North American Premiere of Via Toledo by Night. He has studied in the vocal studios of Norman Bailey, Kristine Ciesinski, Peter Van Derek and Shelly Fullerton and completed prior music/academic studies at BYU-Idaho and CAP21 Musical Theatre Intensive in New York City. Sheldon has also studied ballet, tap, jazz, Alba Emoting acting techniques and is an accomplished figure skater.